The folks in and around F1 don't agree on everything. Check that - phrasing it that way would be to employ language of the extreme diplomatic sort. The folks of F1 don't agree on very much at all. We've seen as much lately. But there are some things about the sport that you'll find close to anonymity on. And one such thing is that its annual visit to the Circuit Gilles Villeneuve in Montreal for the Canadian Grand Prix is one to relish. There are many reasons for this. The layout ensures plenty of overtaking opportunities - captivating drama and action are positive expectations here. The nearby walls - the track being in large part a street circuit without the buildings - can and frequently have punished even small errors and from the best of them. The safety car makes regular appearances and they scupper and save races in equal measure. It is genuinely hard to cite a tepid Grand Prix to have ever taken place at the Montreal venue; it's harder still to imagine one. Additionally the fans in attendance are knowledgeable and plentiful, and always provide a great atmosphere. But even with these in my view we haven't got to the crux of the matter. As far as I'm concerned a central tenet of the Circuit Gilles Villeneuve's appeal is that it is different. Very much so. The track is sited on a man-made island barely 150 yards across in the Saint Lawrence river (and TV pictures really don't give the full sense of the extent that the track is squeezed onto an island), and is surrounded immediately by lush parkland and flower beds, dusted with quirky, other-worldly architecture, as well as has an exciting, vibrant, international city just a short metro ride away and which lingers as the backdrop. The weather usually is wonderful though there also is just enough of a threat of rain, which when it arrives makes things doubly interesting. When the F1 circus pitches up here for once everything feels right with the sport. The venue's charmed life began right from the off, with in the sport's very first visit in the bitterly cold autumn of 1978 local hero Gilles Villeneuve was the one who won out, for his freshman Grand Prix triumph too and in a Ferrari. No one could have written the script better. And since - despite the venue being scene of its share of regret such as Riccardo Paletti's fatal crash in the 1982 round - the diverting and memorable races that have taken place at this track down the years roll off the tongue. 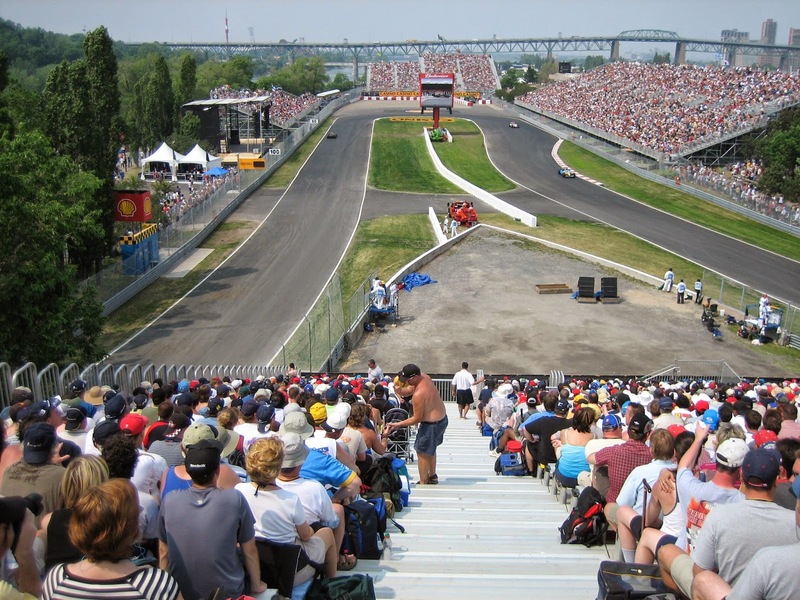 Perhaps also the passing of time and the parallel shifts of the F1 itinerary, with the sport's move to new and rather soulless venues, has added to Montreal's legend. Its status as a venue like no other, a venue with a quirky and refreshing sense of the distinct, as well as one with a warm, vast and passionate crowd in attendance, has got more acute over the years. It has now reached the point that as far as almost all of the sport's fans are concerned an F1 calendar without Montreal on it would be a greatly diminished one. Unconventional, unpredictable, always entertaining. The grandest of the many grand attributes of the Circuit Gilles Villeneuve is that it's a lot like Gilles Villeneuve. One thing in all probability rather beyond the Canadian track's legendary sense of the strange though is halting the Mercedes 2014 winning run. Many draw parallels between the Merc dominance of now and that of Red Bull from just before, but one way in which it differs is that then we looked to a track such as Montreal that rewards power and doesn't have a fast corner worthy of the name (instead being straights separated by chicanes and a hairpin) as a scene of a possible upset. Not so now; Mercedes has the straightline speed thing covered off these days too. Indeed, at Bahrain where the track has similar requirements the silver cars were if anything further ahead than usual. Prepare yourself for another Mercedes benefit this weekend. Therefore, as has been the case everywhere, the debate over first place will most likely be one between Lewis Hamilton and Nico Rosberg. Ordinarily we'd think Lewis would be the man to beat, as his record here is an excellent one and the local requirements to pivot the car through the chicanes, be brave on the brakes and to shave the walls at great speed suit him just fine. Nico meanwhile has never finished higher than fifth here. Last year indeed Lewis took Nico to the cleaners at this track, with the latter having had the upper hand with a Monaco win just before. How Lewis would like history to repeat itself. He's won here three times too, though this record is tempered a little by him having a few scrapes also. Indeed before last year's meeting he'd either won or crashed in every visit. Yet it feels a lot like this time like only Lewis Hamilton can beat Lewis Hamilton. And perhaps given the goings-on of the last round there will be a good few on the lookout for this. 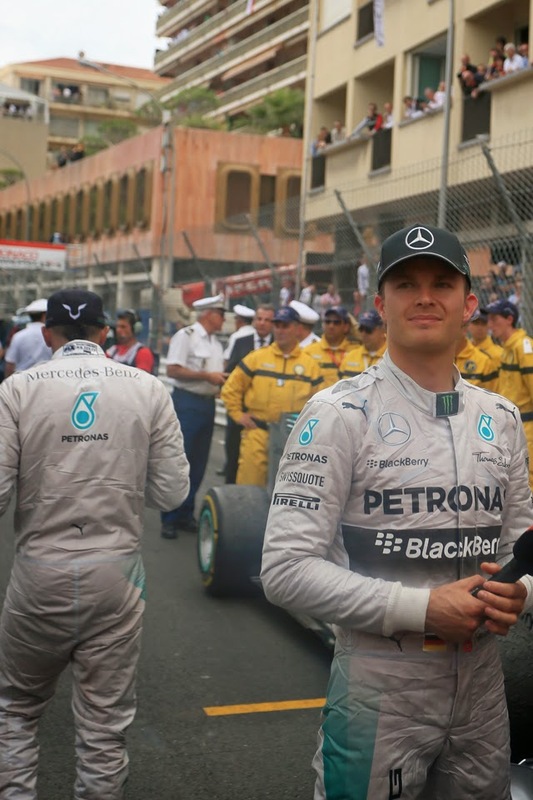 So to slightly revise our maxim, this time it feels a lot like only a Monaco hangover for Lewis Hamilton can beat Lewis Hamilton. That weekend's shenanigans we know about, and though there's been an apparent making-up between Lewis and Nico in the days since it remains to be seen if it's a genuine rapprochement or more an uneasy ceasefire. It also remains to be seen what effect if any it's had on either driver's equilibrium (especially Lewis's on the evidence of the Principality weekend - whatever the rights and wrongs of it all Nico seemed able to let the associated fuss bounce off him). Plenty of eyes will be on Merc garage this weekend, and for more reasons than usual. Such is the Merc unit's straightline speed advantage that perhaps the other Merc-powered machines - Williams, Force India and McLaren - may also be able to make some hay, albeit rather after the works team has taken the best of the crop. Ferrari however promises a big upgrade for Canada, both for its engine and chassis. There will be many fingers crossed down in the Ferrari pit. Furthermore Fernando Alonso is another who tends to go well here, he being another who likes to hustle his car through the many chicanes, though by contrast Kimi Raikkonen's fingertip style has seemed ill-suited and his two Canadian visits since coming back have been a little underwhelming. Renault also promised a few weeks ago that come Canada its power unit will for the first time be running at full chat, which should give the Red Bull team some encouragement too. It would be a major shock if these developments get either the Milton Keynes squad or Ferrari with the works Mercedes, but it might be enough to get them past the German marque's customers this time. Strategy considerations for the Montreal track appropriately also have a corkscrew quality. The track, with a short pitlane (the loss time of 15 seconds being among the lowest of the year) and the relative ease of overtaking would ordinarily equal a multi-stop approach, but the frequency of safety cars at this circuit can swing things back towards one-stoppers. Add to this that Montreal not being a permanent track - and thus the tarmac rubbers in rapidly as the weekend goes on - as well as that the temperatures can vary here more than at just about any other venue, can conspire to give participants a bum steer early in the weekend on how the tyres are behaving. One thinks back to the 2012 race wherein Fernando Alonso and Sebastian Vettel both had one-stoppers explode in their faces late on. And the compound selections this time - the supersoft and soft - are the same as then. But still, whatever is the case not even Montreal's capacity for shock and variation will likely alter the identity of the team on top. Then again, we can't be too certain. This is Montreal.